When lapsed Jew and former cardiologist Harry (James Caan) suddenly decides to spend his retirement as a pig farmer in Nazareth, Israel, the move deeply shocks his family and his new neighbors. Back in New York, Harry’s ex-wife Monica (Rosanna Arquette) is trying to manage the lives of their adult children, Annabelle and David (Jonathan Rhys Meyers), as well as her own. Adapted from director Amanda Sthers’ critically acclaimed novel, Les Terres Saintes, Holy Lands is a universal story about love, family, loss and tolerance, told with incredible humor and heart by a stellar ensemble cast. 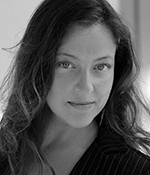 Dr. Guila Clara Kessous, visiting from Paris, France, is a producer, director, actress and UNESCO Artist for Peace. She completed her PhD under the direct mentorship of Elie Wiesel during more than 7 years of working on his plays (both published and unpublished). Considered by the Nobel Prize winner as his “spiritual daughter,” she is the only director who produced and directed the entire theatrical repertoire of Elie Wiesel. 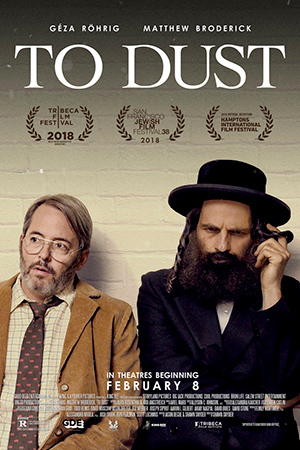 Shmuel (Géza Röhrig), a Hasidic cantor in Upstate New York, distraught by the untimely death of his wife, struggles to find religious solace, while secretly obsessing over how her body will decay. As a clandestine partnership develops with Albert (Matthew Broderick), a local community college biology professor, the two embark on a darkly comic and increasingly literal undertaking into the underworld. Director Shawn Snyder and Actor Géza Röhrig join us for a post-screening discussion. In the 1930s and '40s, Americans traveling to Cuba became intoxicated with a steamy new dance step that they brought back to the dance floors of New York City, where it became a sensation. 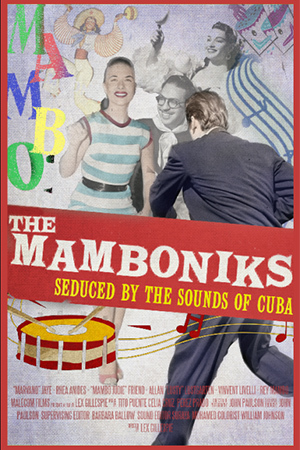 Many of its biggest fans were Jewish -- a diverse, offbeat group whose zeal for mambo dancing earned them the nickname: “Mamboniks.” Featuring a live performance by PALO!, a Grammy and Latin Grammy nominated band performing their own style of Cuban music they call “Afro-Cuban Funk”. Don’t miss this event!